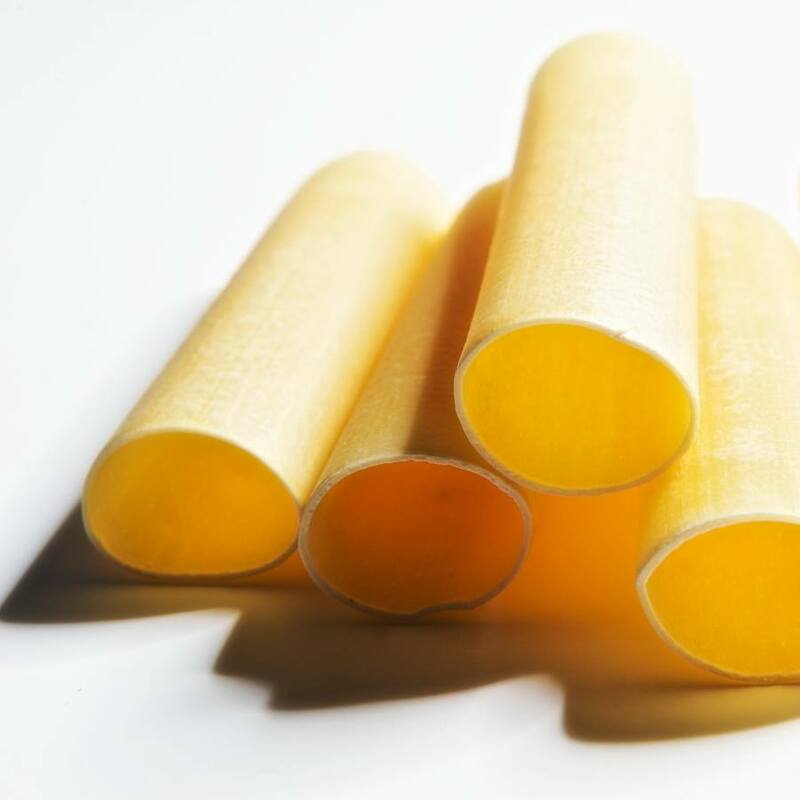 Put cannelloni pasta in boiling salted water (1 liter of water for every 100g of pasta, 1 teaspoon of salt per 2 liters of water). Immediately stir to prevent sticking to the pasta to the pot walls. We do not cover with the pot. Cannelloni cook for 3-4 minutes. Time start to count from the time of re-boil water. Stir every 2 minutes. After cooking, fill with stuffing and bake according to the recipe. Cannelloni pasta served drizzled with olive oil, sprinkled with parmesan cheese. A bit of béchamel or other sauce well complement the dish.